Human translation (HT) is the most common form of translation and it relies solely on human intelligence to convert a phrase or text from one language to another. The quality and efficiency of human translation are determined by the skill set of the translating individual. This makes hiring a quality and well experienced professional paramount. Human translation is the oldest form of translation and has evolved over the ages. In today’s world, language translation is a degree level discipline with colleges continually producing qualified full time and part time professionals on a yearly base. Also known as a machine translator (MT), computer translator is a software or program that automatically translates text from one natural language to another. A good example such a program is Google translate. The program is designed to carry out a simple word to word translation but further advancements look to improve on the isolation of errors and translation of idioms. Some of the software allow domain customization and as a result, improve quality through limiting allowable substitutions. Owing to human intelligence, human translators are able to translate expressions and idioms easily. Human translators also convey mood, speech style and the intended tone of voice. Human translators are able to specialize and understand the subject matter of a text and translate the meaning accordingly. Humans possess the ability to decipher errors and other mistakes in the original text allowing for the correction of grammatical, structural and contextual mistakes. People will rely on experience, understanding, and perception of language. The understanding of the cultural and social habits of the target audience by human translators allows them to adapt messages subsequently increasing their appeal. This important especially when translating sales copy. Any phrases that sound unethical after direct translation can be easily modified. Sometimes it can take longer than expected to get a job done. It can also be expensive. Translators charge differently with some charging high prices and with no experienced translators working for free. Translators have a language limit usually just one in most cases. 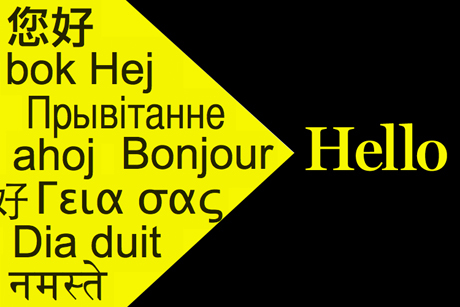 It is possible to translate between multiple languages using a single software. Machine translators are continually being advanced giving users more and more features as time moves. Due to the lack of intelligence and the heavy reliance on pre-set configurations, accuracy can be very low. Program errors and anomalies can be costly especially in the legal and medical domains. Due to the risks involved with machine translation, human translation is the most recommended. However, there are certain scenarios where the use of machine translators is an ideal course of action. These include when the material to be worked on is very bulky and the time available is limited.